Emily Bazelon is a Lecturer in Law and Senior Research Scholar in Law at Yale Law School. She is also a staff writer at the New York Times Magazine and author of the national bestseller Sticks and Stones: Defeating the Culture of Bullying and Rediscovering the Power of Character and Empathy. 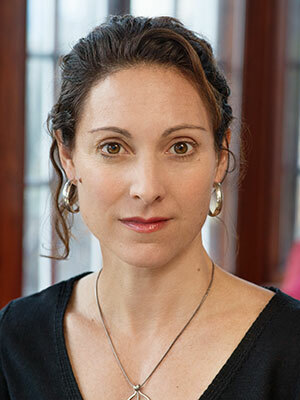 Emily Bazelon is a Senior Research Scholar in Law and Truman Capote Fellow in Law at Yale Law School. She is also a staff writer at the New York Times Magazine and author of the national bestseller Sticks and Stones: Defeating the Culture of Bullying and Rediscovering the Power of Character and Empathy. Before joining the Times, Bazelon worked for nine years as a senior editor at Slate. She has been a Soros media fellow, an editor and writer at Legal Affairs magazine, and a law clerk on the U.S. Court of Appeals for the First Circuit. She is a frequent guest on the Colbert Report and NPR's Here and Now. Bazelon is a graduate of Yale College and Yale Law School.